The Whales at the family friendly park at Pandanus Beach Wynnum in Brisbane remains a favourite with locals and visitors to the area. 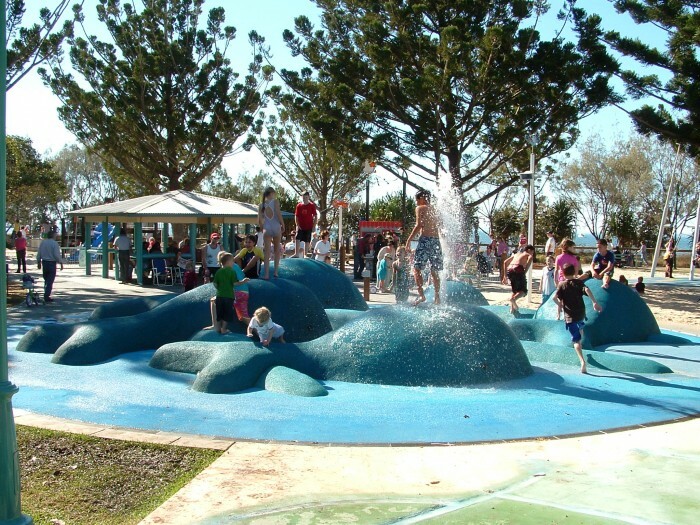 The park design was originally initiated in 2003 with the total transformation and completion of the foreshore at Wynnum back in 2004. 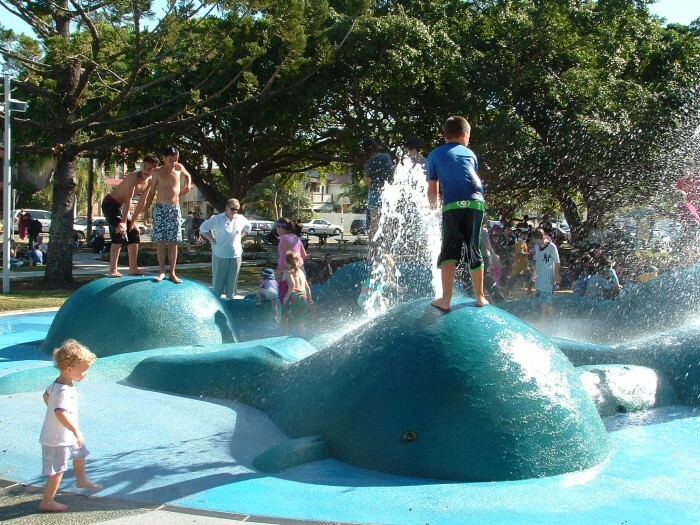 The largely popular design of the whimsical Whale pod waterspray park has always been a major feature of the whole theme of the park at Pandanus Beach. It is a great place to go for the kids to get wet by the water spouting whales and have some fun, proving over the years to be a family favourite destination on a hot summer’s day. The feature whales have undergone modifications since then – to the drainage and the undersurfacing of the entire waterspray area. 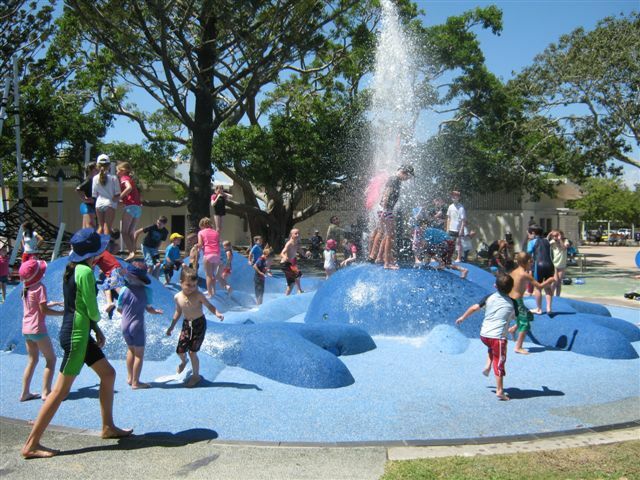 Playscape Creations were able to utilise a newly developed product from Rubbertech – a Chlorine and UV stable aquatic surfacing product. The new aquatic surfacing allows the park to have 100% flow through properties, which leads directly to the external water pits which surround the perimeter of the Whimsical whales. The original concept: The overall concepts for the project at Pandanus Beach was built upon the strong history and the natural landscape of the foreshore area in and around Wynnum. This project was a well executed integration of innovative and exciting playground facilities and spaces. Site specific and creative design solutions have over the years provided endless play opportunities for everyone and has taken playground design to a superior level. The integration of Brisbane’s sub tropical climate has been achieved by the use of colour, water and landscape elements. The collaboration with artists and specialist consultants resulted in establishing a palette of interesting and exciting playground facilities in the Wynnum area. The end result for the park has been a fantastic one for all involved and the whimsical whales spouting water for all families and visitors to enjoy – whatever time of year!